“Chappelle’s Show” took on everything from racial matters, American and international politics, and even took shots at pop culture. Using topics that matter like the racial inequalities and political matters, Chappelle created a lot of controversy that made his show not just hilarious, but also brought important topics to the mainstream youth market that was watching his program. 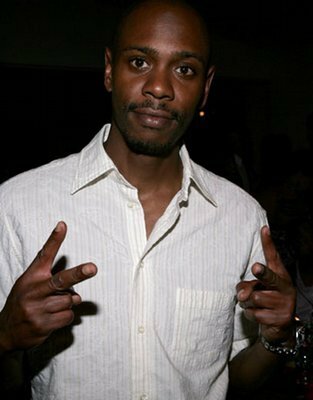 After the first two highly successful seasons, Chappelle signed a two-year contract for over $50 million. However, early in the production of the third season, Chappelle decided to leave the show saying it was ruining his life and his stand up comedy career, which he wanted to keep in tact. Chappelle went overseas for a little while, then came back to the United States and has been out of the limelight since. Chappelle has returned to stand up comedy in recent years and has spent most of his time away from the media. It was recently reported that Chappelle was going to return to making sketch comedy programs via an exclusive deal with Netflix or Hulu. He was said to be negotiating with both in a deal where he would have a great amount of power creatively. A person close to the legendary comedian said that Chappelle is “enjoying his life. He has a new daughter and is just doing what he’s really passionate about, stand up. Others believe that there is no chance that Chappelle would return via an Internet subscription service. Most think that Chappelle would go for a network like HBO where he would be able to reach a large mainstream audience and maintain a great deal of creative control. Chappelle has been going strong on the stand up circuit for a while now. He has in fact dropped hints that he might be interested in returning to television in a “Chappelle’s Show” like program. But clearly Chappelle is just not interested enough in the return to television. If a man with the star power and fame of Dave Chappelle really wanted to return to TV, all he needs to do is make one phone call.